Welcome to the AED Tech Blog! Serving the Medical Industry for over 25 Years! Exploring Technology, Sales, and Services in the Medical Devices Market. Join us for insightful discourse, and special offers to boot! How can we help? Click on the icons on the left to connect to our support services team! 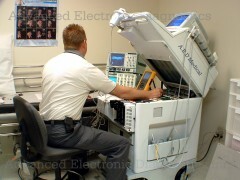 Surplus Medical Equipment — You need it, we’ve got it!